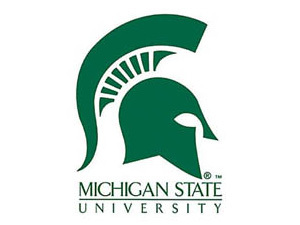 ​This is the website for the Chandler Lab at Michigan State University. We seek to understand the molecular mechanisms by which chromatin remodeling regulates chromatin biology, epigenetics, and cell signaling in the female reproductive tract and how disruption of these mechanisms contribute to endometriosis and gynecological cancers. Learn more in the About and Projects tabs. The Chandler Lab is part of the Department of Obstetrics, Gynecology and Reproductive Biology at Michigan State University and the Van Andel Research Institute Center for Epigenetics, and is housed at Michigan State University's new Grand Rapids Research Center in Grand Rapids, Michigan. Postdoctoral fellows interested in joining us, please see the Opportunities tab. Graduate students interested in joining the lab, please contact the BioMolecular Science (BMS) Program at Michigan State University, or contact Dr. Chandler directly using the contact information listed below.